I’d fire Lowe before the SJS game. Let them know it was because of the 8-1 loss to the Flamers. Maybe I am reading too much into things but I think the point is whether it is music at breaks, banners, or failing to address the key weaknesses in the lineup, the Oilers are not willing to admit they have been following the wrong path in many parts of their organization. Pretty hard to take a long look in the mirror when you are busy navel gazing. IMO, that is the issue with the organization. That is the root of the problem. Hey Gregor, I agree with a lot of what you wrote, however I think the Souray situation a few years ago was portayed a lot different by the media. With today’s situation, speaking out against the Oilers brass is almost common among fans and media, but back then, not only did the organization blast him, but the media (brownlee) almost made him out to be a cancer for calling it like it is. The guy can’t be a villain on year and a martyr another. Can he? I can only speak for myself. Why didn’t you quote my article from back then? “I’ll admit I was a bit surprised that Tambellini elected to ban Souray from training camp. I thought they’d let him showcase himself in training camp and the preseason and then work out a trade, but it is clear that Tambellini feels Souray’s presence around the kids, even for a brief time, wasn’t worth the risk. I still believe it. I felt it was a dumb move by the organization, others didn’t, but I’m not sure why you are comparing what I wrote today to what Brownlee wrote. I never changed my view regarding Souray. It was bad asset management then, and it looks even worse a few years later. People forget what a valuable commodity Souray was when all this went down. 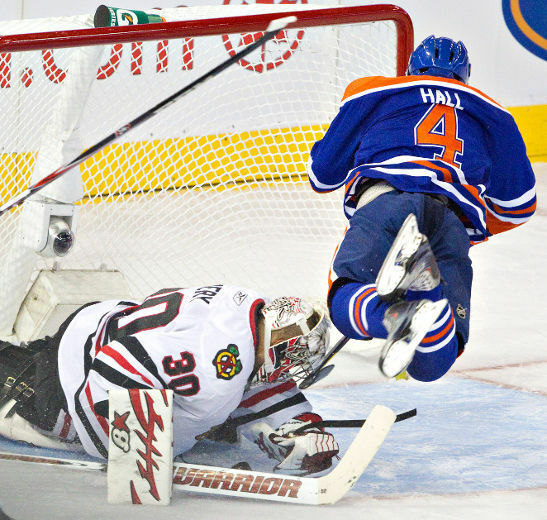 In his last full season with Edmonton, 2008-09, he was 32 years old his numbers were 23-30-53, plus one, in 81 games. Tambellini buried him in the minors to satisfy a grudge. Lowe backed up Tambellini. I wouldn’t trust these JACKASSES to run a Midget AAA team. It’s really hopeless. The Little Billionaire is determined to give jobs to his Glory Boy idols. Time to find another Canadian NHL team to root for. Souray was so valuable that 29 other teams passed on taking him for free off waivers. Let’s not revise history. Good luck with that. I hate to say it but if you want to find another NHL team to cheer for you have to look south of the border. Hockey stops being Canada’s game the second after Olympic closing ceremonies. the only thing worse than a broken organization is the broken record that has been the media (this site included) chasing the bad organization, pointing out the flaws. That’s not a shot at this site or media, that’s what media does and the way it is. And that has to be brutal – people like Jason asking why am I doing this if nothing is going to change? At what point do we bother, really, reading sites like this, showing up, caring, engaging ourselves with the perpetuity of a closed loop of futility? This article should be in both papers tomorrow morning. ON should buy the space a post it in both. Jason, hear any more on the Tyler Bunz situation? A puck to the throat, I wouldn’t wish that on anyone but Kassian. Fractured larynx…he is out of surgery and feeling better. Scary situation. Been there. Puck as well. Almost died… knew it was serious when I had 3 doctors working on me. 5 days in the U of A ER. Then couldn’t speak a word for 3 weeks after that. Got a raspy voice now! I only bring it up cause all I needed to do was wear a neck guard. Thanks dude, appreciate the link. Even odder when you don’t own the building. Oilers control the building on game days since they are renting the facility. Very petty and a obvious indication of a inferiority complex. Could be a NHL rule though. Regardless of what actually went on between Eakins and Hall on the bench, the coach came of looking petty and small…more concerned about his suit jacket than the game on the ice. Also pretty telling that after his own hissy fit, Eakins threw the towel he used to wipe off the old Armani at the feet of the trainer / equipment guy on the bench for HIM to deal with. The water splashing, granted caused by an immature act by Hall, was accidental. Eakins throwing the towel at the feet of a ~peon~ was much more deliberate, disturbing and eye-opening to me. he is the coach and he had to act like it.if he never reacted and did nothing everybody will say that he is a sissy and can not punish his star player.he did the right thing and put hall in his place and i hope he start benching others. I agree he needed to address the issue with Hall. I just didn’t like the disdain shown in how he treated the member of the training / equipment staff. He reacted to a childish tantrum with a bigger childish tantrum including disrespecting an innocent guy on the bench. Maybe we are giving the incident too much play but I think it should have been handled differently. yes you are about right the training staff .but my replying was about him firing back at hall .it happened before when hall disrespected tom renny when he pulled the goalie and against the flames on HNIC few years back. I have no problem with a coach addressing a player who is acting inappropriately. You can’t have the inmates running the asylum. Reread the posts and I think you will see we are saying the same thing. I am not defending Hall and do not take issue with the fact Eakins engaged him. I AM taking issue with HOW Eakins acted, primarily in terms of the guy from the training staff who had to clean up his mess. Bench them for not playing well but not for showing frustration or having intensity. I take that back because you can’t bench six or seven guys at the same time can you? Saw an interesting thing on Hockeycental. He thought long and hard before he did anything. Maybe it was to take the heat off his players and get the media on him…….maybe. Respectfully ….. that is a pretty big MAYBE. If Dallas is that deep a thinker, I would hope he would be able to solve why the power play is so putrid. He really doesn’t strike me as the guy in the room who would fall on the grenade and save the fellas. Nah, just another boiling point reached, all part of a dysfunctional organization. In terms of the banners, it seems petty. Quinlan’s retired jersey doesn’t make Gretzky’s or Messier’s jersey any less revered. Hang it on the other end of the building. Big deal. It’s not like they are hanging it in front of an Oiler number. Same with the Oil Kings Conference banners. They have been a great team for the last three years. Let them hang a couple more banners. Gagner’s size is not the issue, IMO as much as his total lack of defensive acumen and awareness. I realize he is not huge but there are a lot of guys smaller than him that are not such huge defensive liabilities. Either way the Oilers need a different 1C or 2C. As a gesture to the season ticket holders, I would think it would be good PR on the club’s part to have a zero increase or – dare I say it – slight reduction, in renewal prices in consideration for the terrible product they have iced this year. I will be over here in the corner holding my breath waiting for it to happen. Jason mentions Tambelllini. Jason isn’t putting all the blame on Tambellini, but others posting here are. You have seen the argument: Tambellini ran the franchise into the dirt so MacTavish deserves a lot of time to make it right. Tambellini was GM of the Oilers for ALMOST FIVE YEARS, from July of 2008 to April of 2013. Who hired Tambellini? Who sat around with his thumb up his hoo-hoo while Tambellini made mistake after mistake? Kevin Lowe. Who hired MacTavish? Kevin Lowe. At the end of the regular season (not before, it makes no sense), and WELL before the amateur draft, ALL of these people need to be fired: Lowe, MacTavish, Eakins, Buchberger, Smith. Even worse, who EXTENDED Steve Tambellini? Did they really think everything was going fine in 2012 and deserved an extension? You forgot to add that when Laddy Smid mentioned how things could still get worst, he was instantly banished and sent to Calgary. 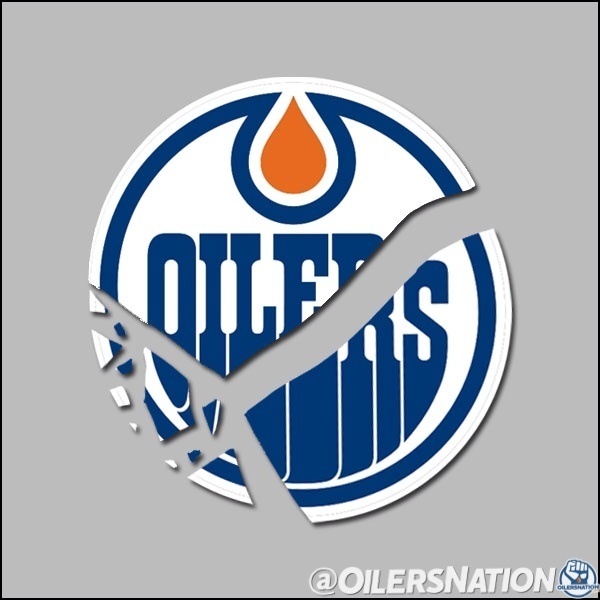 Tambo might be gone, be the policy of the Oilers management will never be questioned, remains. And as it turns out Laddy was exactly correct. I guess that is why almost all of the players who have been traded since then have voiced their opinions about how the Oilers team is run, as in the lack of intensity of the practices. Nothing short of a cleansing by fire will fix this godforsaken dungheap of a franchise. The sheer incompetence at every single level can’t be fixed by (deservedly) firing a POHO or another coach or trading Taylor Hall for a draft pick.